After Nguyen Ngoc Loan raised his sidearm and shot Vietcong operative Nguyen Van Lem in the head he walked over to the reporters and told them that, “These guys kill a lot of our people, and I think Buddha will forgive me.” Captured on NBC TV cameras and by AP photographer Eddie Adams, the picture and film footage flashed around the world and quickly became a symbol of the Vietnam War’s brutality. Eddie Adams’ picture was especially striking, as the moment frozen is one almost at the instant of death. Taken a split second after the trigger was pulled, Lem’s final expression is one of pain as the bullet rips through his head. A closer look of the photo actually reveals the bullet exiting his skull. 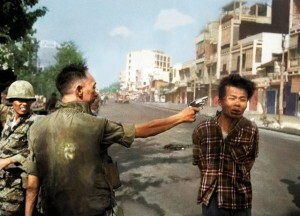 “Two people died in that photograph: the recipient of the bullet and General Nguyen Ngoc Loan” – Eddie Adams. Nguyen Ngoc Loan was one of 11 children born to an affluent family in the ancient city of Hue. He finished university at the top of his class and trained as a jet pilot in the South Vietnamese Air Force. It was in the air force that he meet, Nguyen Cao Ky, the flamboyant pilot who once flew a helicopter into the courtyard of his girlfriend’s house to impress her. Ky would later become Prime Minister of South Vietnam from 1965 to 1967, and then Vice President until his retirement from politics in 1971. When in power Ky Surrounded himself with trusted men including his friend, Nguyen Ngoc Loan who he put in charge of the national police. 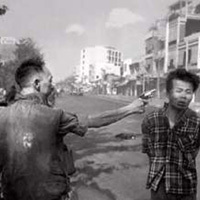 As police chief Loan immediately gained a reputation among reporters for his anger and hair-trigger temper when the Vietcong struck civilian targets. The prisoner whose last instant is captured in Adam’s shot was Nguyen Van Lem. 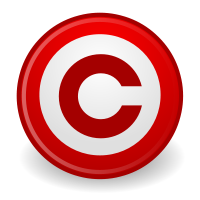 A Viet Cong operative, who like other Viet Cong agents went by the secret name of Captain Bay Lop (Lop was his wife’s first name). His wife, who still lives in Saigon (Now Ho Chi Minh City), confirms that Lem was a member of the Vietcong and that he disappeared shortly before the Tet Offensive never to return. Lem’s role in the Viet Cong is murky. Most reports give him the role of a Captain in a Viet Cong assassination and revenge platoon responsible for the killing of South Vietnamese policemen and their families. Eddie Adams was told by Loan that Lem had killed one of Loan’s friends and his family, “They found out that [Lem] was the same guy who killed one of his —uh—Loan’s officers and wiped out his whole family.” Yet facing international pressure when the picture and footage aired Vice President Ky, said the prisoner had not been in the Viet Cong but was “a very high ranking” communist political official. History hasn’t clarified Lem’s role in the Vietcong and the Vietnamese government has never acknowledged his role in the war. Lem’s widow and children lived in poverty for years before being discovered by a Japanese TV crew living in a field. It was only then that the Vietnamese government provided her shelter. Adams, the man who captured Lem’s final instant was a former Marine photographer in the Korean War. Working for AP, he had arrived in Vietnam a few weeks before the Tet Offensive. This was his third tour; the first was when marines initially touched down in Vietnam in 1965. On the second day of the Tet Offensive Eddie heard reports of fighting near the Cholon, the Chinese section of the capital. The AP and NBC were office neighbors and often pooled resources when reporting the war. So Eddie teamed up with one of NBC’s cameramen, Vo Su, and went to check out the location were the fighting was reported. Adams watched as two Vietnamese soldiers pulled a prisoner out of a doorway at the end of the street. 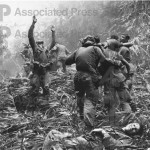 The soldiers then pushed and pulled what appeared to be a Viet Cong in a plaid shirt, his arms tied behind his back. They escorted the man toward the spot where Adams and Vo Su were located. “Eddie Adams said, ‘I just followed the three of them as they walked towards us, making an occasional picture. 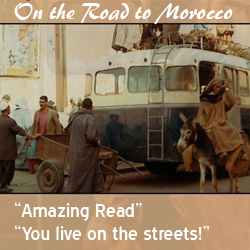 When they were close – maybe five feet away – the soldiers stopped and backed away. I saw a man walk into my camera viewfinder from the left. He took a pistol out of his holster and raised it. I had no idea he would shoot. It was common to hold a pistol to the head of prisoners during questioning. So I prepared to make that picture – the threat, the interrogation. But it didn’t happen. The man just pulled a pistol out of his holster, raised it to the VC’s head and shot him in the temple. I made a picture at the same time.’ “The prisoner fell to the pavement, blood gushing,” Buell, quoting Eddie. “After a few more pictures of the dead man, Adams left. NBC also acquired film footage of the incident, thanks to the South Vietnamese journalist with Adams, Vo Suu, a cameraman for NBC correspondent Howard Tuckner. The color footage of the execution filmed by Vo Suu was shown to a stunned America already shocked by images of a supposed “defeated” on the offensive during the Tet attack. After the picture and footage flashed across the world there were cries for Loan to be charged with War Crimes for his summary execution of Lem. Loan’s execution would have violated the Geneva Conventions for captured soldiers or Prisoners of War (POWs) if Lem had been wearing a military uniform. Since Lem was caught wearing civilian clothes, plaid shirt and black shorts, Loan was only restricted by the laws of the South Vietnamese government, which allowed the use of such harsh measures. In May 1968 only a few months after the execution picture, now, Brigadier General Loan was seriously wounded. While leading charge against a Viet Cong strong point a machine gun burst had ripped off his leg. Once again a photograph captured Loan. This time the general was bleeding profusely while the broad-shouldered Australian war correspondent, Pat Burgess, carried him back to his lines. Loan was taken to Australia for treatment but when it was discovered who he was there was such an outcry from the Australian public he was moved to the Walter Reed Army Medical Center in Washington. After recovering from his injuries the one legged Loan returned to Saigon where because he had been relieved of his command due to his injuries devoted his time to setting up hospitals and the helping Vietnamese war orphans. When the South Vietnam fell to the north in 1975, Loan at almost the last moment made it out of the country on a South Vietnamese plane after being denied help by the fleeing Americans. He settled in the United States eventually opening a pizzeria in northern Virginia. He lived a quite life until he was forced to close his restaurant in 1991 when his identify was discovered. In 1998, at 67, he died of cancer but is survived by his four children his wife, Chinh Mai; and nine grandchildren. “The guy was a hero. America should be crying,” Eddie Adams response when he learned of Loan’s death. 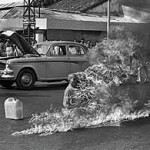 I won a Pulitzer Prize in 1969 for a photograph of one man shooting another … The general killed the Viet Cong; I killed the general with my camera. Still photographs are the most powerful weapon in the world. People believe them, but photographs do lie, even without manipulation. They are only half-truths. What the photograph didn’t say was, “What would you do if you were the general at that time and place on that hot day, and you caught the so-called bad guy after he blew away one, two or three American soldiers?” General Loan was what you would call a real warrior, admired by his troops. I’m not saying what he did was right, but you have to put yourself in his position. …This picture really messed up his life. He never blamed me. He told me if I hadn’t taken the picture, someone else would have, but I’ve felt bad for him and his family for a long time. 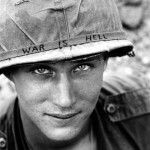 I had kept in contact with him; the last time we spoke was about six months ago, when he was very ill.
Eddie Adams born on June 12, 1933, in New Kensington, Pennsylvania has covered 13 wars but has also become famous as a magazine cover photographer. His pictures have been seen on magazines and newspaper covers around the world including Time, Newsweek, Life, Paris Match, Parade, Penthouse, Vogue, The London Sunday Times Magazine, The New York Times, Stern and Vanity Fair. (Yes Penthouse! He shot a number of “Pets” in the 70s) He has shot cover shots for some of the most famous people in the world, presidents Richard Nixon to President Bush, Mikhail Gorbachev, Anwar Sadat, Deng Xiaoping, Fidel Castro and Pope John Paul II. In 1988 he started an annual photo event, Barnstorm: The Eddie Adams Photojournalism Workshop. For four days the workshop brings together newbies and seasoned pros in the Photojournalism field for photography, editing tips and networking. Eddie Adams himself lived to 71 when on September 18, 2004 he died from complications of amyotrophic lateral sclerosis, or Lou Gehrig’s disease. The Vietnam war correspondent who carried the wounded Loan to safety, Pat Burgess, also died from a painful sclerosis of the nervous system, similar to the type Eddie Adams had. The North Vietnamese failed to achieve any of their goals with the Tet Offensive. The attack was a military disaster for the Vietnamese and Vietcong forces where never able to return to the pre-Tet strength. However in the eyes of the American pubic it seemed like America had been the one that had been dealt a serious blow. The Offensive contradicted the message from the White House that the USA was winning. 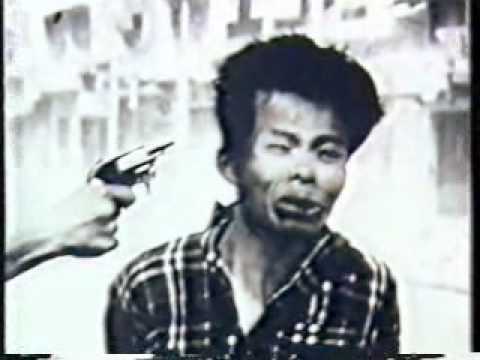 The execution photograph was a part of the media presentation of the Tet Offensive and seemed to present a battle that had been reduced to desperation and savagery. 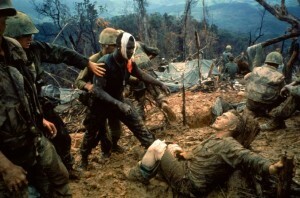 Yet for all the emotional impact that the film and picture had, the event had little effect on the presence of American soldiers in Vietnam. American G.I.s stayed for another five years. The American government still continued funding the South Vietnamese for another seven years, until 1975; the same year South Vietnam fell.